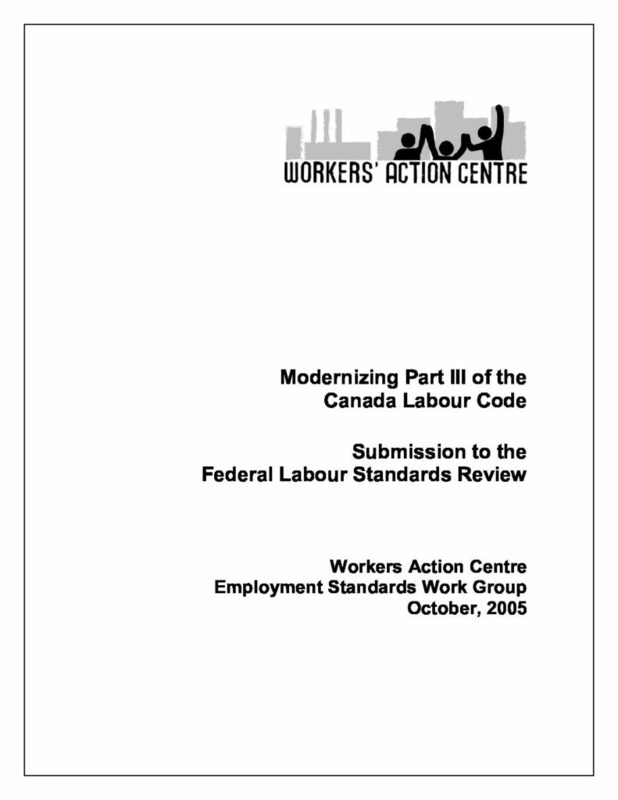 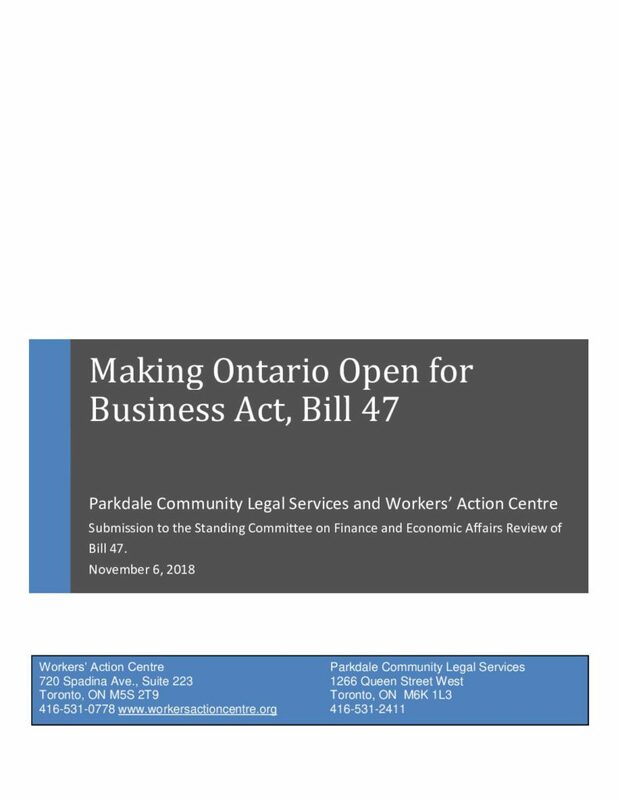 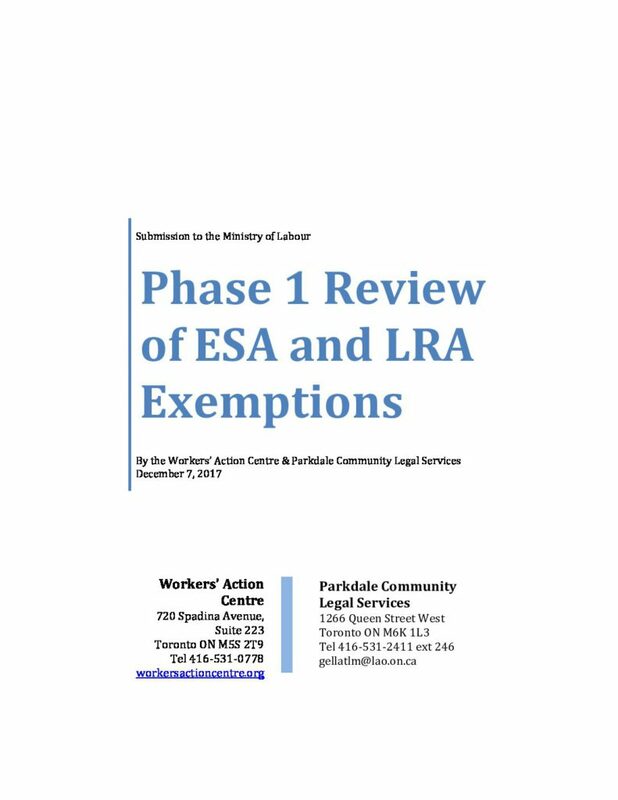 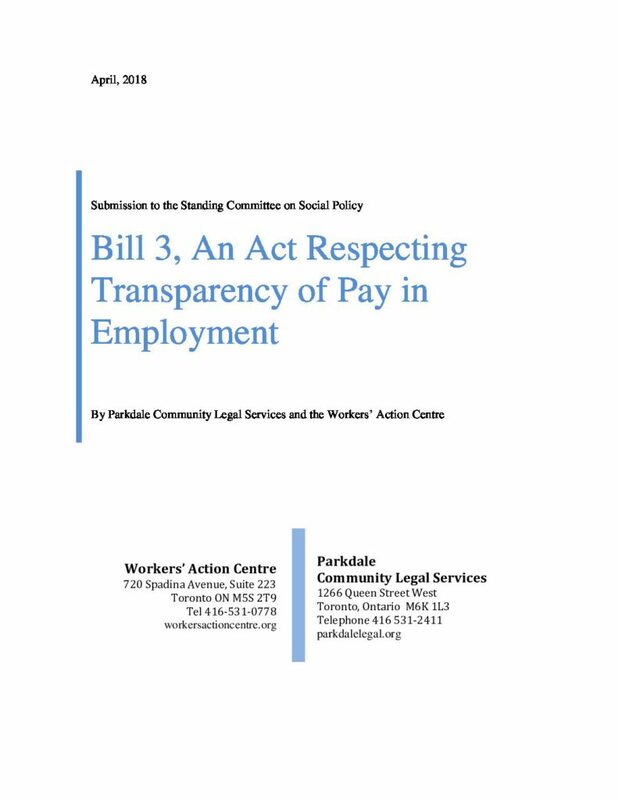 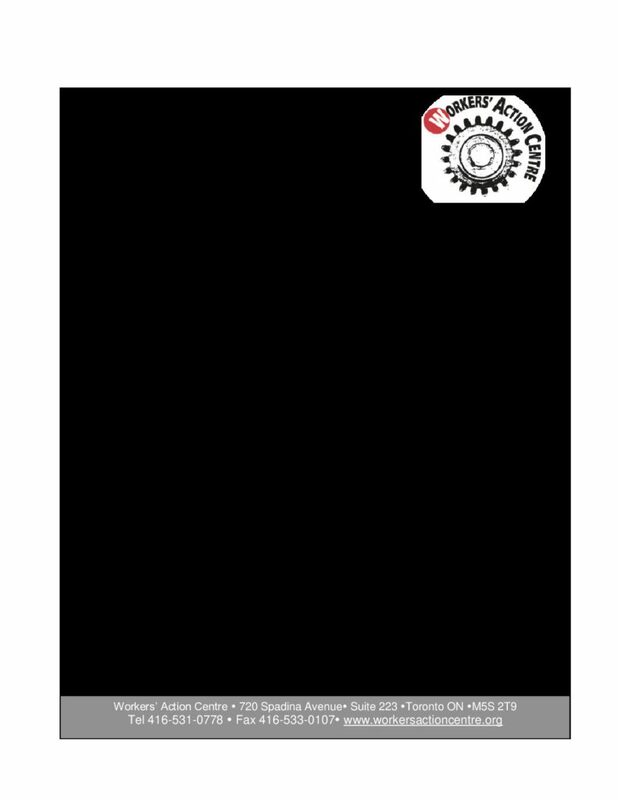 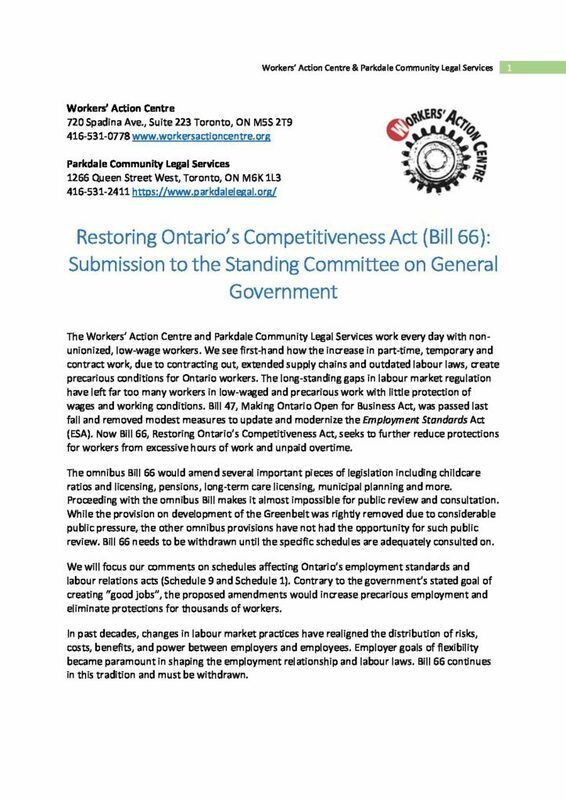 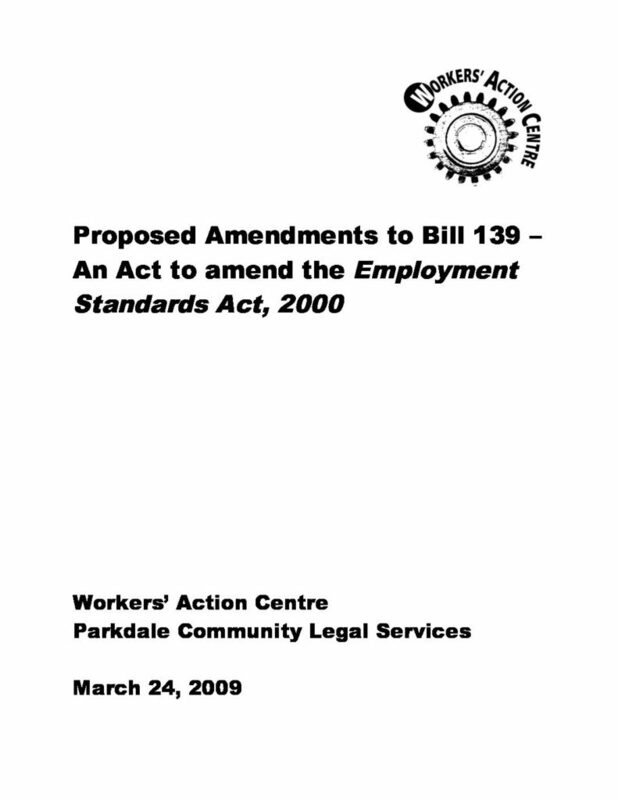 Joint submission by the Workers’ Action Centre and Parkdale Community Legal Services regarding Bill 47 that seeks to cancel the updates to the Employment Standards Act (ESA) and Labour Relations Act (LRA) recently won through Bill 148. 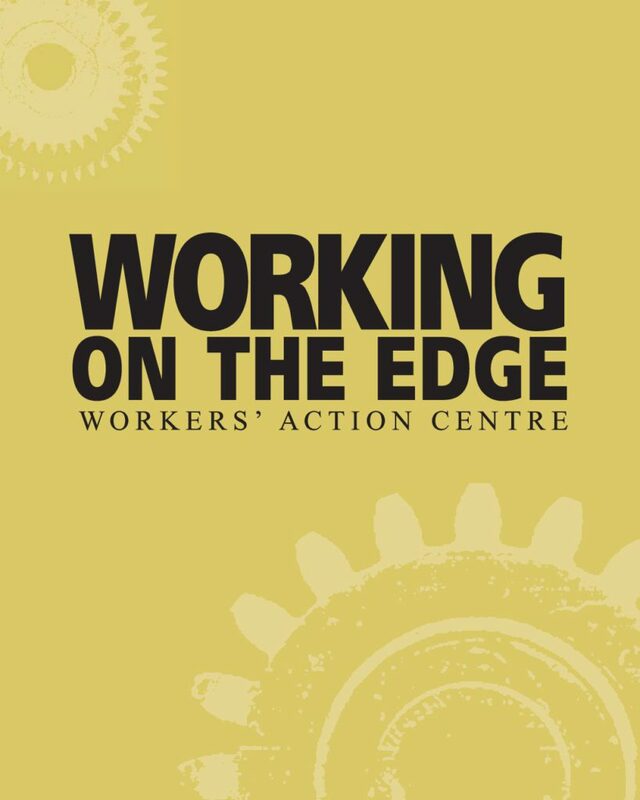 The government is pushing Bill 47 through the legislative process despite little consultation with workers in precarious employment who depend on the ESA for protection. 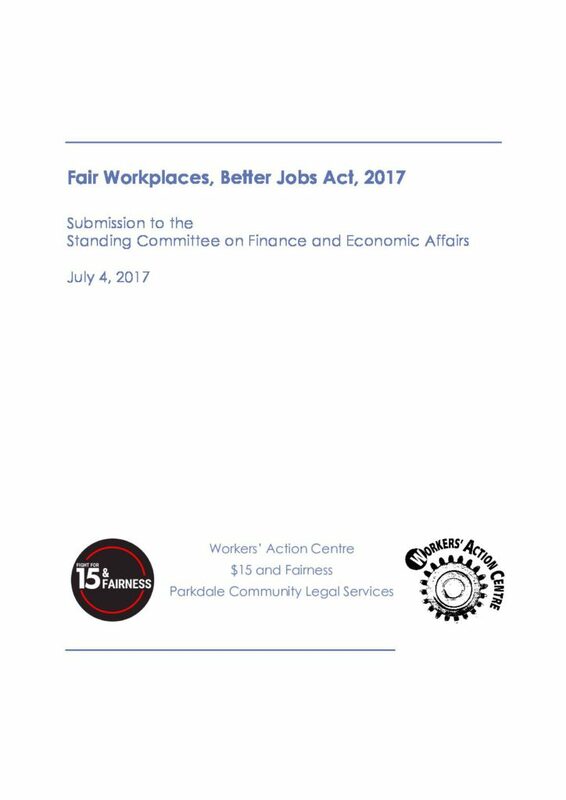 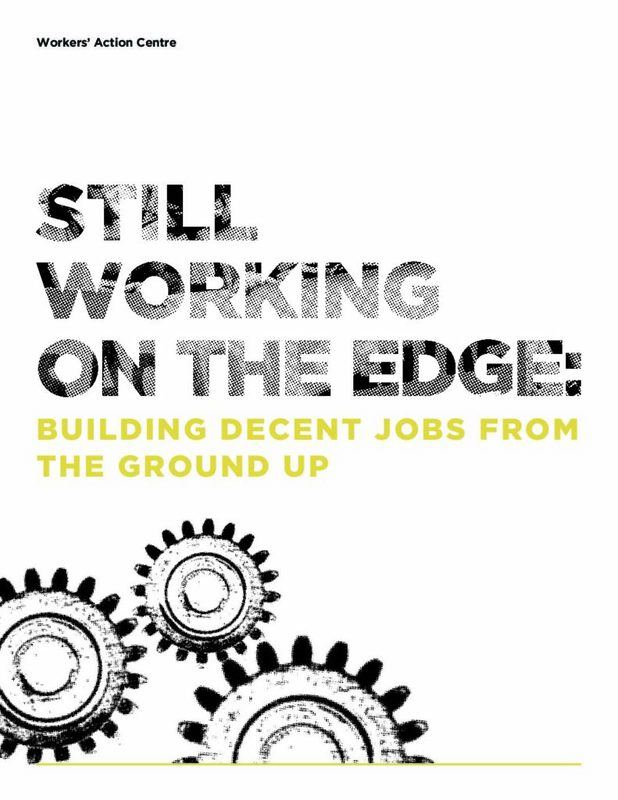 We recommend the complete withdrawal of Bill 47.
oint submission by the Workers’ Action Centre, Parkdale Community Legal Services, and the Fight for $15 and Fairness Campaign to the Standing Committee on Finance and Economic Affairs regarding Bill 184: Fair Workplaces, Better Jobs Act, 2017. 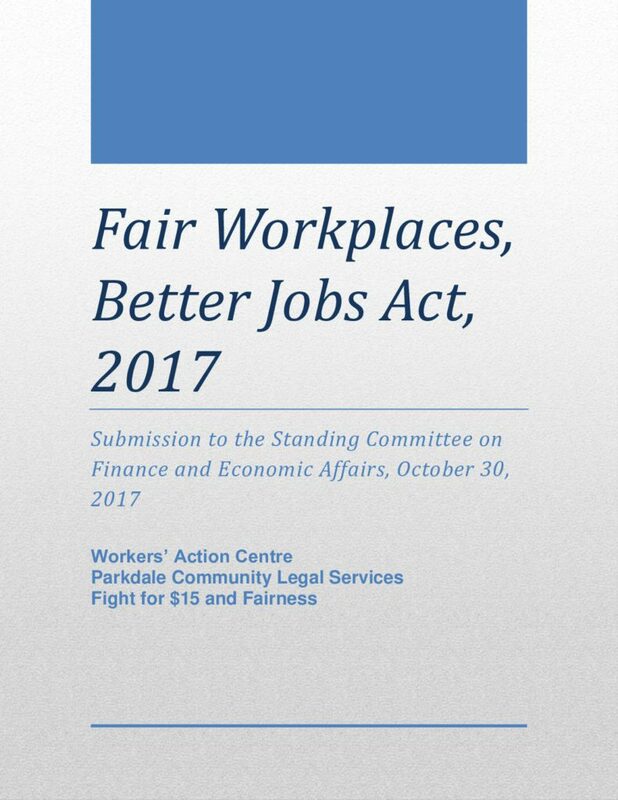 These are our recommendations to strengthen Bill 148 before its passing, especially in regards to the ability to unionize, new scheduling laws, equal pay for equal work, and termination pay or notice. 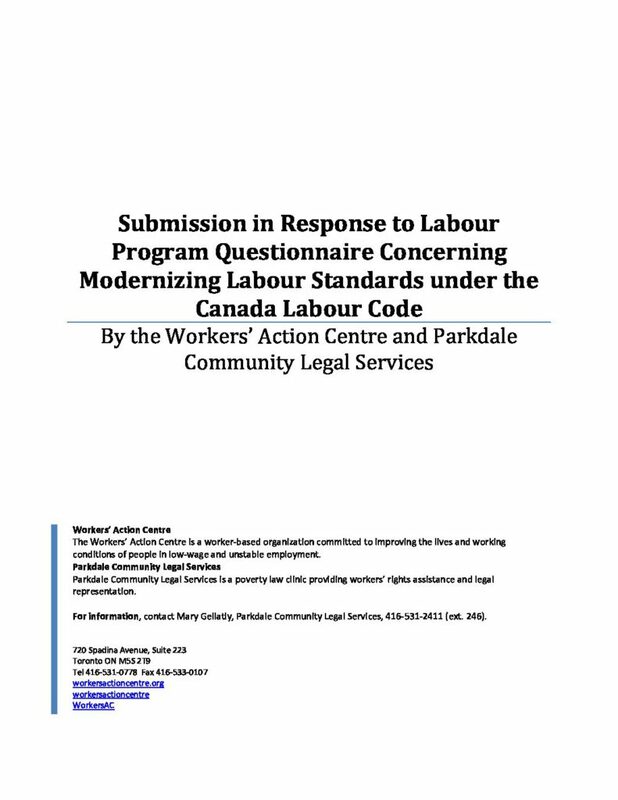 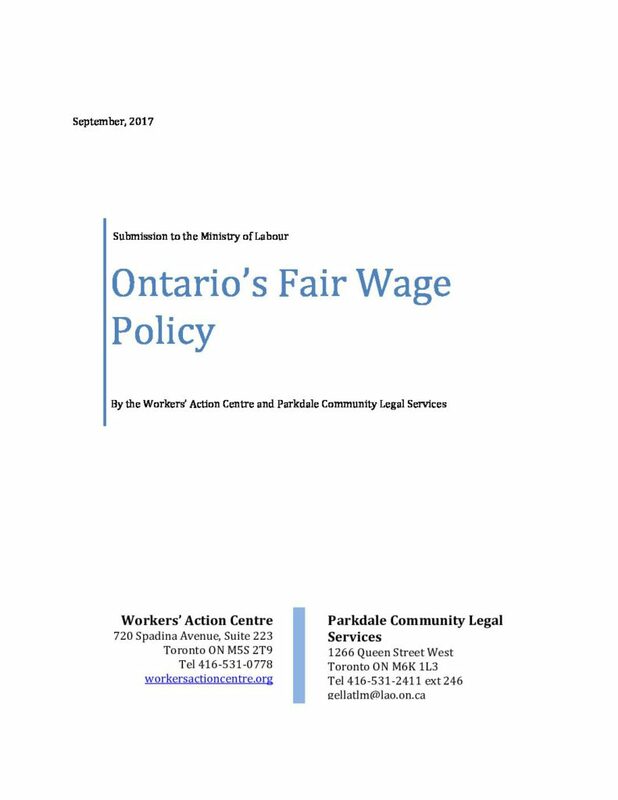 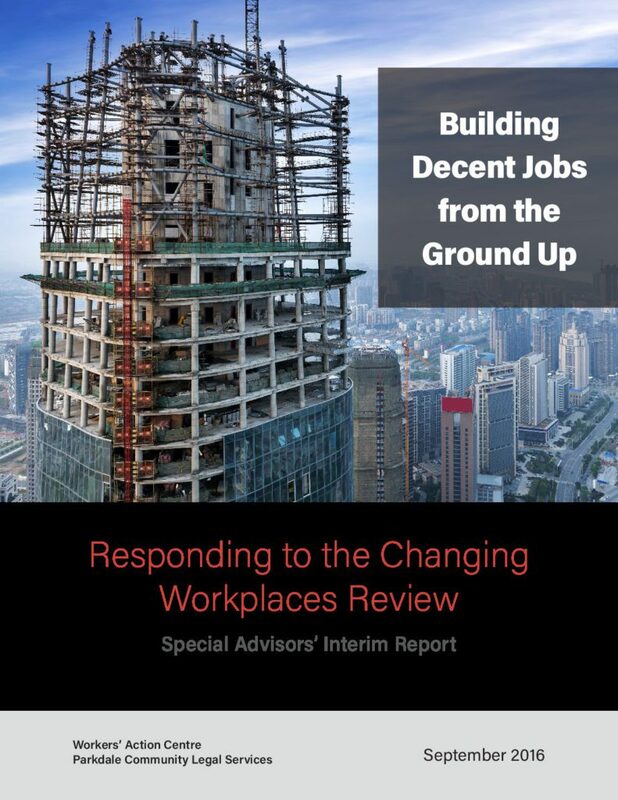 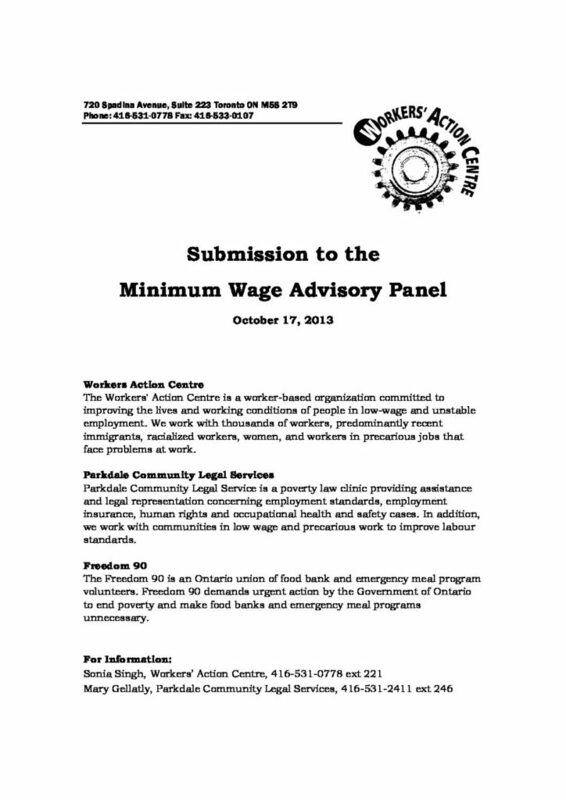 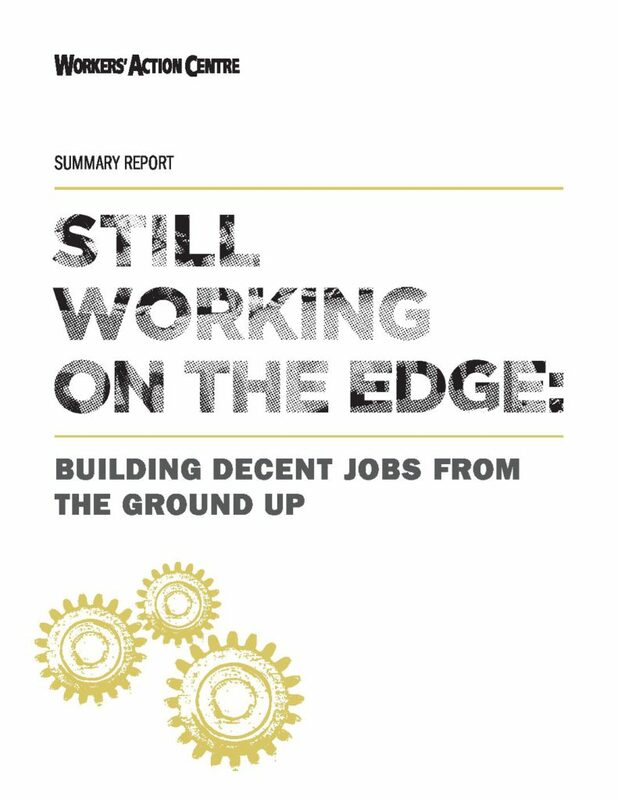 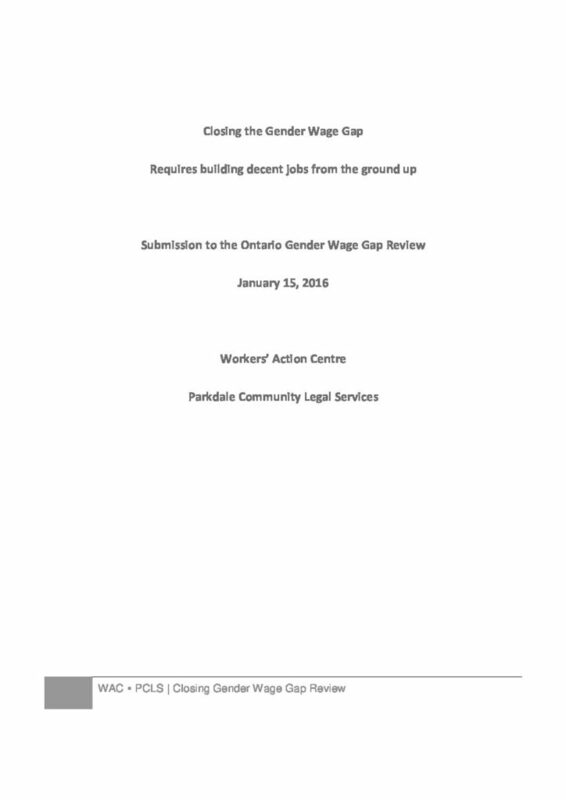 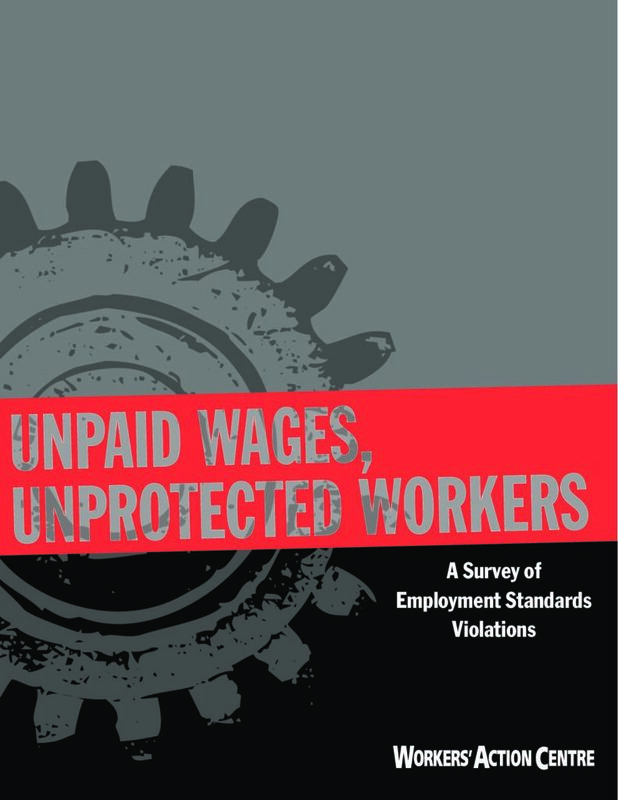 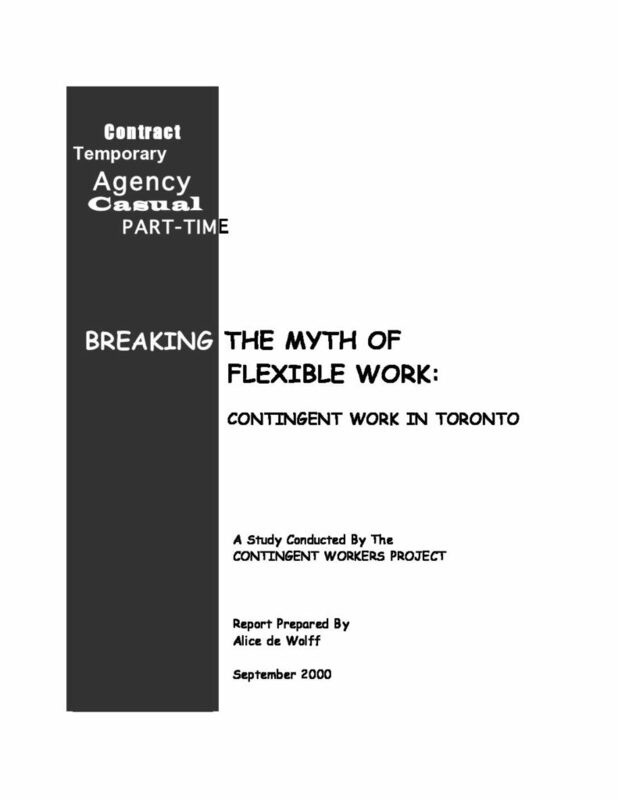 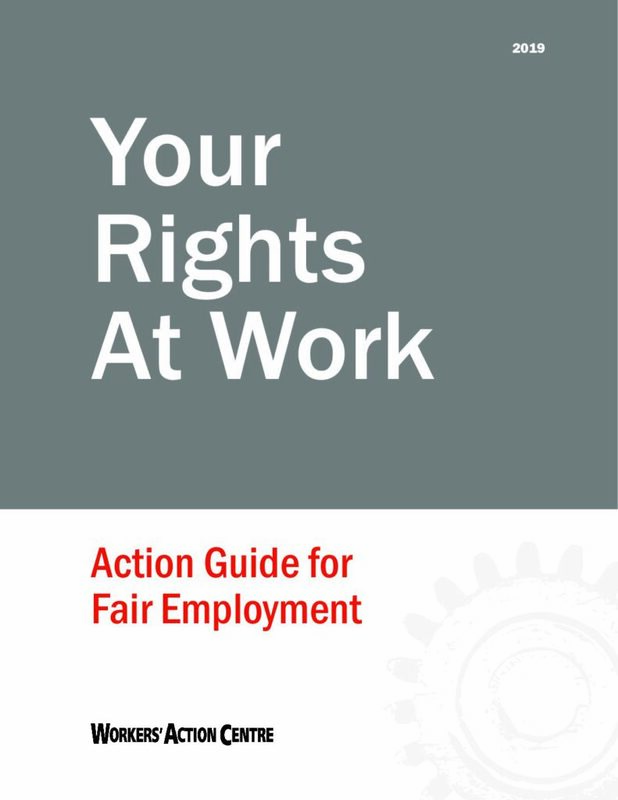 Report by Workers’ Action Centre and Parkdale Community Legal Services responds to the Ministry of Labour’s Changing Workplace Review Interim Report.